Enjoy this beautiful bouquet of spring poppies and lavender. 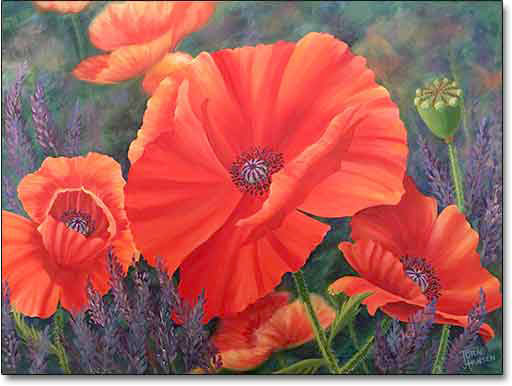 This image was painted with acrylic paint on a gallery-wrapped canvas. The original painting is available for sale. Click on the Add to Cart button to complete your selection. If you would like to purchase a signed print of this image, please contact the artist by linking to the Contact & Links page. Shipping is free for original painting.